Praised for “lively, clear textured and urbane” performances and “impressive clarity of purpose and a full grasp of the music’s spirit” (The New York Times), New York-based pianist, chamber musician, arranger, and teacher, Eleonor Bindman has appeared at Carnegie Hall, The 92 Street Y, Merkin Hall, Alice Tully Hall, and on solo concerto engagements with the National Music Week Orchestra, the Staten Island Symphony, the Hudson Valley Philharmonic, the New York Youth Symphony, and The Radio and Television Symphony Orchestra of Moscow, Russia. 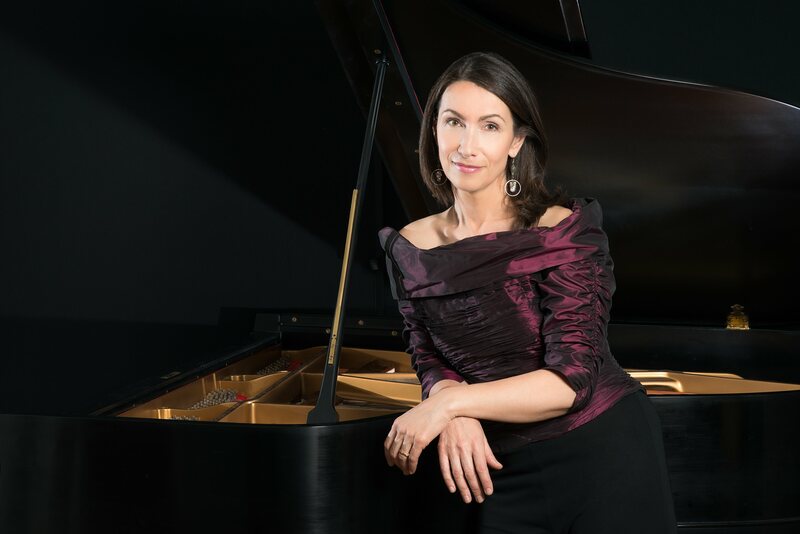 Ms. Bindman is a prizewinner of the New Orleans, F. Busoni and Jose Iturbi international piano competitions and a recipient of a National Foundation for the Advancement of the Arts award. Born in Riga, Latvia, Ms. Bindman began studying the piano at the E. Darzins Special Music School at the age of five. Her first piano teacher, Rita Kroner, hailed from the studio of Heinrich Neuhaus, the venerable Russian piano pedagogue. After her family immigrated to the United States, she attended the High School of Performing Arts while studying piano as a full scholarship student at the Elaine Kaufmann Cultural Center. She received a B.A. in music from NYU and completed her M.A. in piano pedagogy at SUNY, New Paltz under the guidance of Vladimir Feltsman. The Poughkeepsie Journal describers Ms. Bindman as a strong pianist who attacks her work with great vitality and emotion…and mesmerizes her audiences with her flair and technique” (Barbara Hauptman). Ms. Bindman’s discography includes two solo recordings, Tchaikovsky: The Seasons on MSR Classics, and her debut recording “Three works by Modest Mussorgsky,” which includes her own transcription of A Night on Bald Mountain. She also released Out of the Blue with pianist Susan Sobolewski under the name Duo Vivace, which features two-piano and four-hand arrangements of works by Gustav Holst, Leonard Bernstein, and George Gershwin. Ms. Bindman is the author of several piano compositions and transcriptions, including Mussorgsky’s A Night on Bald Mountain and a set of original piano works for children, An American Calendar, both published by Carl Fischer, Inc.
Ms. Bindman has always been devoted to the music of J.S. Bach, and after curating and performing in “The Bach Project” series for the Old Stone House in Brooklyn in 2014, she was inspired to compose a new arrangement of the six Brandenburg Concertos for Piano-four-hands. Ms. Bindman’s Brandenburg Duets were completed and recorded in 2017 and released by Naxos Records on their Grand Piano label in March 2018.